SNA’s New Online Ethics Module is Now Available! In today’s world, ethics and ethical behavior have never been more important. Just turn on the news or browse the latest headline on your favorite app. There seems to be no end of coverage on the people who are getting it wrong. Which is why it’s critical that school nutrition professionals get it right! But how do you approach this subject with your staff? Have them take SNA’s new online training module, “What Should You Do? 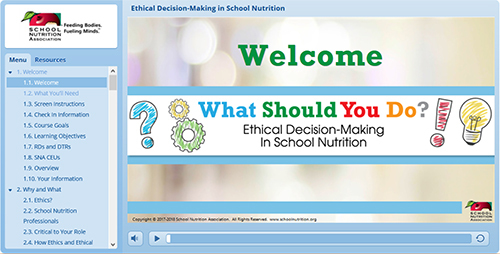 Ethical Decision-Making in School Nutrition.” This training module introduces the basic principles of ethics and ethical behavior. It also provides a pathway to making ethical decisions through an engaging platform. This is not a sit and listen presentation. Participants will be interacting with each screen as they work their way through the content, activities, questions, videos, self-assessment and case study. 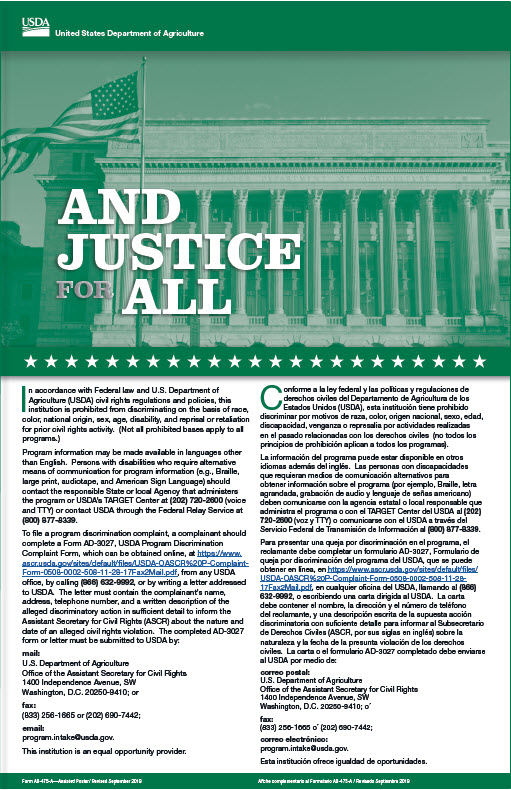 To learn more and to review purchasing options, visit www.schoolnutrition.org/ethics.